WXXI’s Brett Dahlberg reports that health care workers in Monroe County say they’re monitoring a downstate measles outbreak that continues to grow, but they don’t see it as an immediate threat to the Rochester area. Even as a downstate measles outbreak continues, health leaders in Monroe County say the risk of another outbreak here is small. Earlier this year, Monroe County had its worst measles outbreak since the state started tracking data a decade ago. But the seven children sickened in those cases, which the county health department linked to an unvaccinated toddler, has been dwarfed by the hundreds reported in Rockland County and New York City. 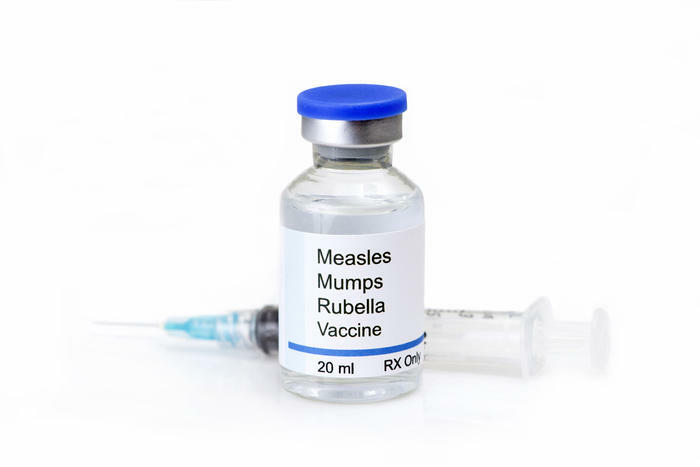 Geoffrey Weinberg, who specializes in pediatric infectious diseases at the University of Rochester Medical Center, said there is no immediate risk of measles returning here – though he said an unvaccinated person could travel to New York City and bring back the virus unknowingly. Weinberg and other pediatric experts, like Rochester Regional Health’s Larry Denk, said that’s why a high vaccination rate is so important: it limits the disease’s reach to one person. “It would pretty much stop there. If someone had measles and came here, but everyone’s been vaccinated, it’d be very unlikely to spread,” Denk said. Both doctors said the Rochester area has a high vaccination rate in general, but they were concerned about a few elementary schools in Monroe County where religious exemptions have resulted in measles vaccination rates below 80%. They said that creates conditions where the disease could spread in small pockets of the local population. Denk said many children who get measles will survive without lasting effects. But it’s a numbers game that he doesn’t want parents to play. He said the risks of the vaccine are tiny compared to the risk of lifelong complications from getting measles.